I hope you are all having a great day! :) As usually, I am here with my daily photo challenge where you can submit your personal images from your travels to Prague and other locations in the Czech Republic in the comment section below. The best 15 entries of the day will get my upvote. I will then pick the absolute winner of the day from these 15 photos. The winning photo will be awarded with a bigger upvote and it will also be featured as the cover image for the challenge post the next day to give the author of the winning shot some more exposure and publicity. Don’t forget to add a short background story for your entry with at least 30 words and let me just remind you one more time that only personal images will be accepted in the challenge. The Leaning Church of St. Peter of Alcantara. The ground near Karviná where this church stands has sunk by 37 meters in just a few decades due to the collapse of mine tunnels underground. Nowadays, the church leans almost as much as the world-famous Leaning Tower of Pisa, and it has become a unique tourist attraction. I rewarded @libork winning entry with some extra upvote. Feel free to visit his blog and check out some of his other entries. Thank you for your submissions. Have a great day and keep on Steeming! It's been awhile since I've posted in here because I've pretty much exhausted the photos I took during my October 2017 visit to Prague. But I still have a few left to share, like this one. I was traveling here for business, but I had a full day to explore. 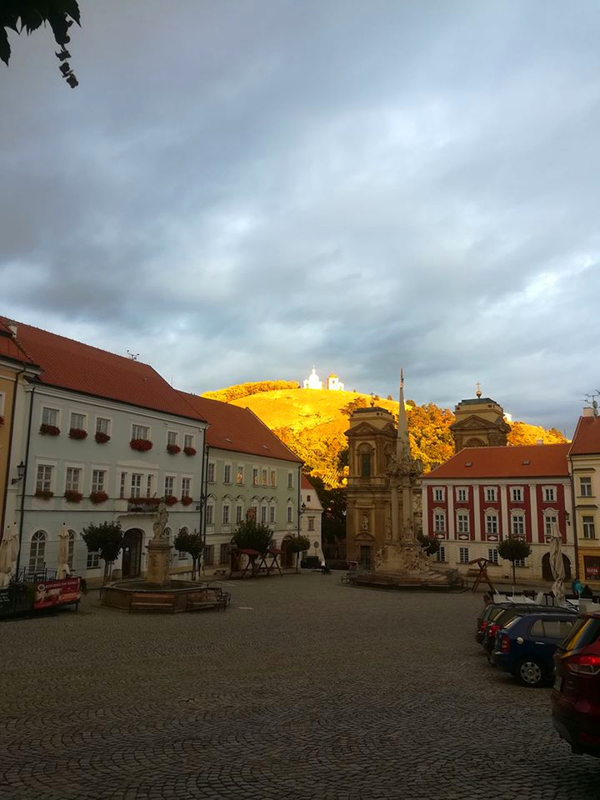 So I ended up taking a four hour walk through Old Town in the afternoon until the sunset. I quickly discovered that standing on the bridges connecting Old Town to New Town were a great place to get a wonderful angle of this picturesque city. Hi Matt, nice photo. I've also run out of photos to post and you'll see I have the same scenery as you... just at a with worse and with worse light. ;) PS Only got there after sundown unfortunately. Ha! I guess that means we need to go back to Prague! Still inside the Chateau Valtice cellar. 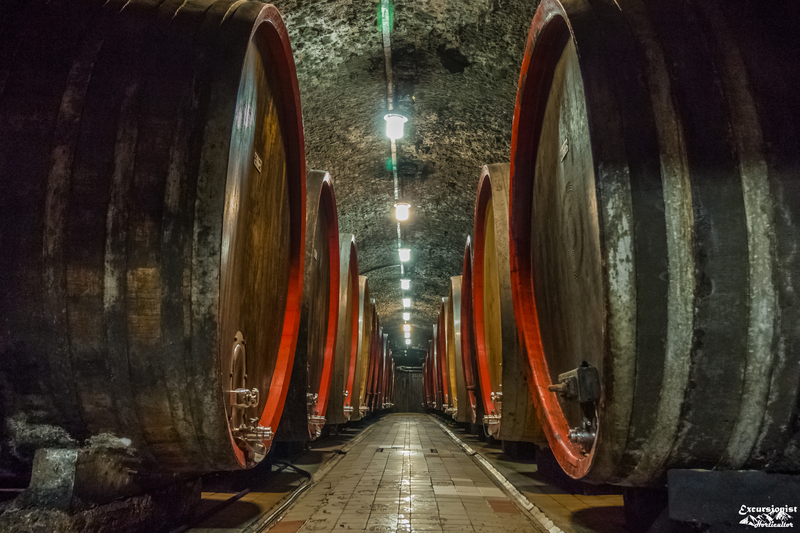 This cellar can date back to 1947. Yes it is older than even my parents😂. It has really got a lot of history to offer. I was surprised to hear that the cold temperature of the place is natural. Well i am not too surprised because i know cellars are deep underground. PS: What is the label at the bottom right corner? Thank you for appreciating this work. It is indeed a nice place to visit. The label is "horticultor excursionist". It is the label for our photography. We are students studying horticulture and love travelling to places of interest. Thank you for your explanation. I just hope this truly is your image and no-one elses´ since I have not seen you using this label before. 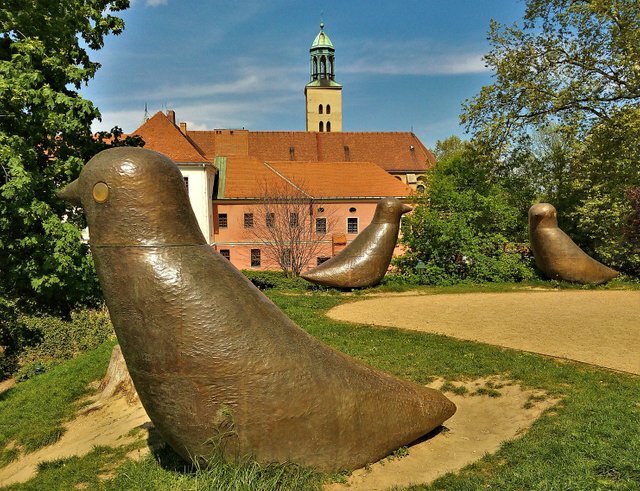 These giant bronze sculptures of birds can be found at the top of the Bird Hill in the historic center of Opava. Created by the renowned Silesian artist Kurt Gebauer, the sculptures are interactive - they rotate their heads, make sounds and have glowing eyes :) The building in the background is the Minorite Monastery. I am telling you. The Czech Republic has the BEST statues in all of the world. I need to go there and probably spend a month traveling the whole country and getting pictures of all of them. These ones even make sounds? That is hilarious. 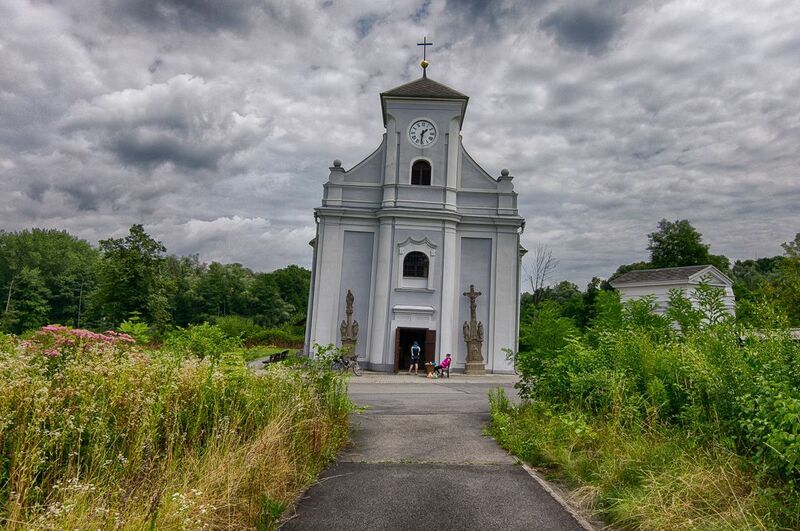 This picture I took few days ago in a small village close to Třinec and close to border with Poland. It's a prefect place to relax but also you can hike to some mountains around. Great image! This is something very typical in smaller villages and town. 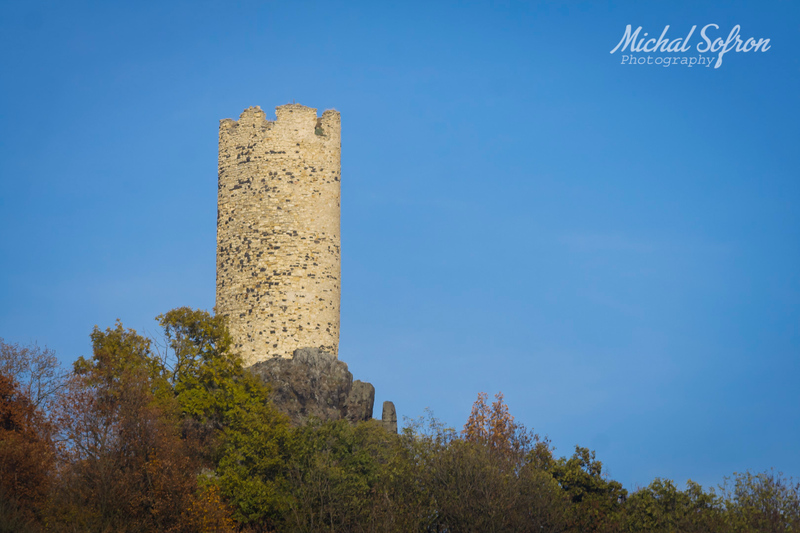 In Vratislav near Lovosice there are remains of medieval castle Skalka. Only a tower was preserved from the 14th century castle. After the 30th year war was directly beside the castle built Baroque castle. From the foot of the tower there is a beautiful view of the surroundings. Augustinian Monastery, Prague 2, Vysehrad, photos from Albertov slopes. You see a later rebuilding from the Baroque period, 1660 - 1668. Besides the Hussites Emperor Josef II was the main destroyer of the monasteries. He canceled this one in 1784 and used the building for the hospital. Prague is a very interesting city, especially for those who like architecture and history. 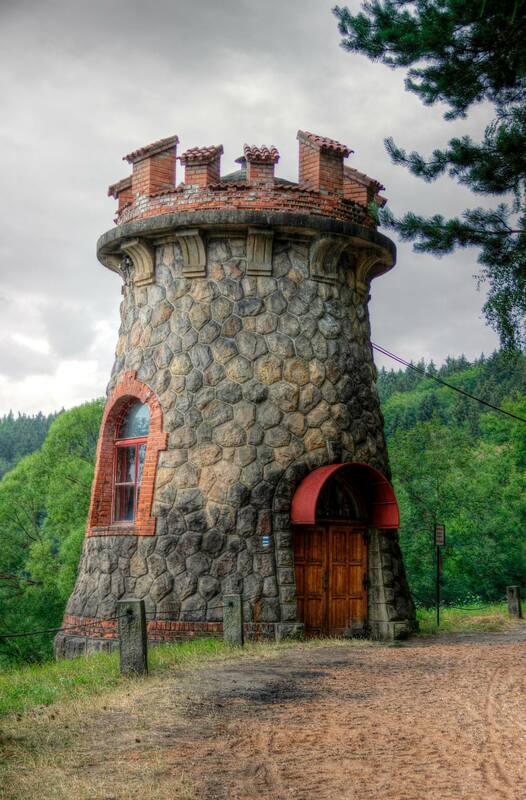 In this photo I show an unusual building with a very interesting classical façade. Showing some elaborated sculptures and paintings. 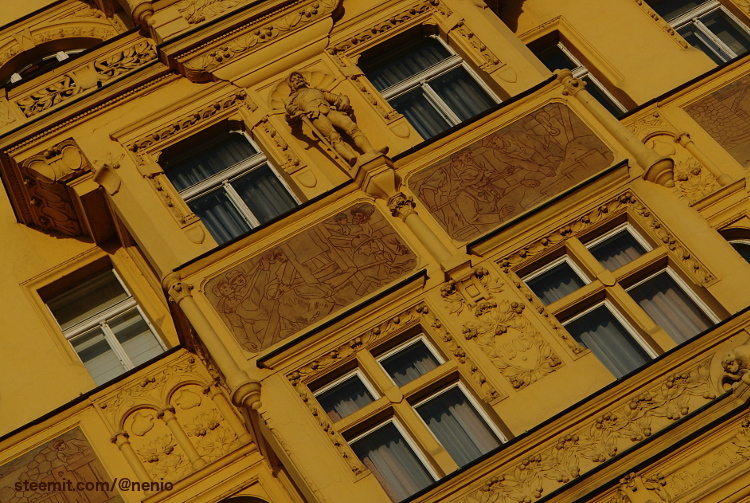 This yellow colour is very common in the buildings of Prague. I agree! Even okay photos of Prague are pretty great! There's still enough light in this one that I really like the soft pastels of the sky. At the time, the largest reservoir in Czechoslovakia will undergo a thorough reconstruction, which will last until the end of August 2019, when the dam will be remembered a hundred years after its completion. The first repair work has already begun. The State Enterprise of the Elbe River Basin will make almost CZK 28 million in repair. As a result of repairs, visitors will face a number of limitations, such as a popular day of open doors this year, or next year. Appointment ? A very big word knowing that in this street it is impossible to stand side by side with each other! And yes, the narrowest street in Prague is only 50 centimeters wide (70 centimeters according to other sources), anyway to circulate on this street located in the historic district of the Czech capital, a system had to be put in place to avoid collisions between pedestrians. 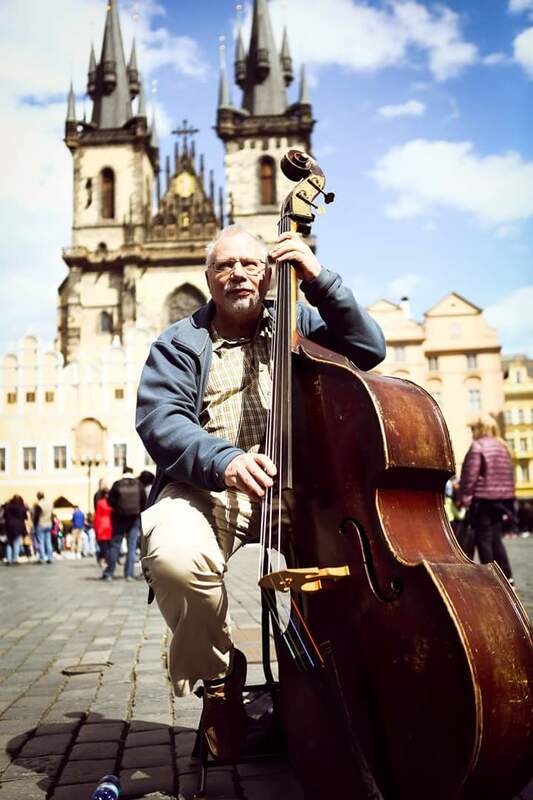 Street Perfomance at old town prague with lovely natural gorgious view, makes a paradise place here. Street performance is practiced all over the world and dates back to antiquity. People engaging in this practice are called street performers or buskers. Beautiful. Great capture of a man that loves music. 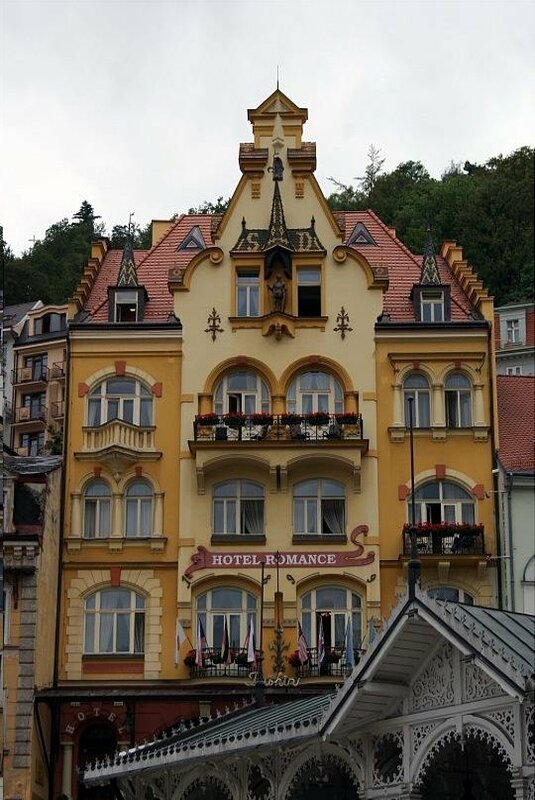 Karlovy Vary is a fairy-tale little town. Not surprisingly, Karlovy Vary is so popular. The place where the city is located is at an altitude of 400 meters above sea level in a picturesque valley, surrounded by mountains and forest. The air here is clean, and the main "highlight" of course, in the healing springs, which today number 12. That is why for a long time here there are many sanatoriums where you can spend time with health benefits. But for the desired effect, you need at least 14, and ideally 21 days. For a beneficial effect on the body use a comprehensive approach from the combined baths, drinking treatment and other procedures. One of the most famous and most visited castles in the Czech Republic is the Hluboká Castle. Located close to České Budějovice, the castle sits on a pond basin and above the Vltava River. 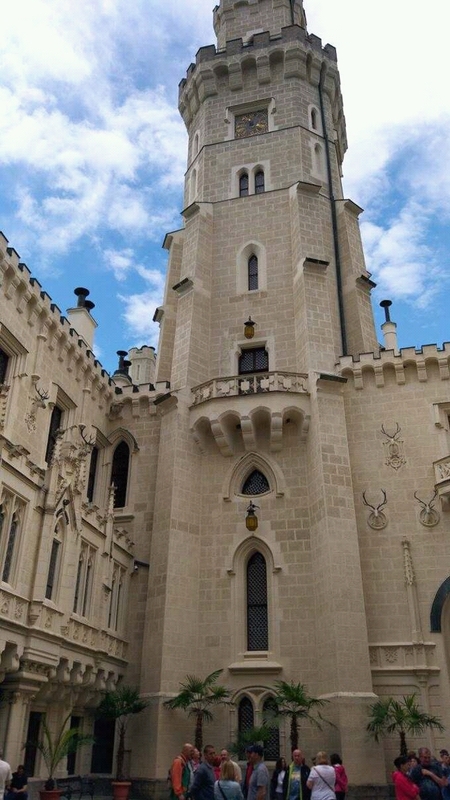 Originally a royal castle, Hluboká was established in the 13th century by King Premysl Otakar II. Hluboká Castle is a National Cultural Monument of the Czech Republic. Definitely must visit place when in the Czech Republic. The Prague Exhibition Ground was built in 1891 and its dominant building is the Industrial Palace designed in Art Nouveau style. Next to it (on the right side of the panoramic picture) is Stromovka, large park which was established in 13th century as game reserve and converted to park in 19th century. Today I present a photo of the entrance of some building in the historic center of Prague. I have never met two identical architectural solutions. This entrance group attracted me with beautiful metal forging and an unusual mosaic of the floor. WARNING - The message you received from @nkereuwem is a CONFIRMED SCAM! The Rudolfinum was named after the Habsburg crown prince Rudolf, son of Emperor Franz Jozef, who committed suicide in 1889.
a magnificent neo-Renaissance structure, was built in the nineteenth century as a House of Artists. 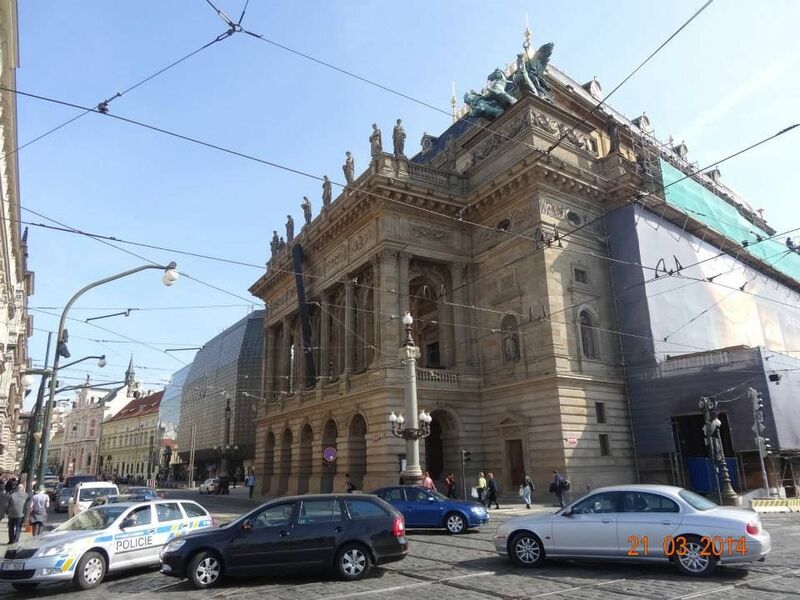 Today it is home to the Czech Philharmonic Orchestra. wow awesome click my friend.. outstanding. Unfortunately I have not been able to follow your challenge, I've never been here, but maybe someday. Thank you for holding a contest like this, I can only give a little comment.. The beautiful sunset that emanates from the western horizon adds to the beauty of the universe. I did not get tired of looking at him, the pleasure of this scene I took so I can always see when I gone home.